One man’s fight to ensure humane treatment for mentally ill patients at a rural Eastern Cape psychiatric hospital has sparked various consequences, with at least one monitoring body calling out a cover-up and the hospital CEO handing in her resignation late on Thursday night. 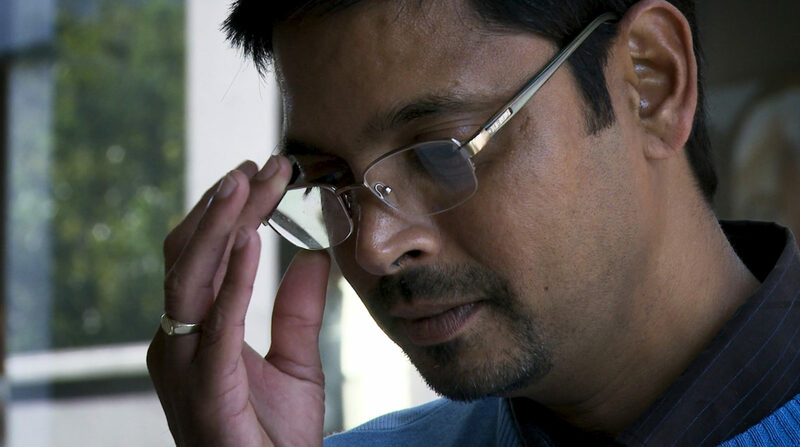 Dr Kiran Sukeri, employed at the Tower Psychiatric Hospital in Fort Beaufort in the Eastern Cape up until he resigned at the beginning of March after being instructed to leave his office, is possibly the first psychiatrist in South Africa to speak out against wrongdoings in the mental health field since 1994. Sukeri, who had been outspoken about concerns he had regarding the treatment of patients at the facility, has now been labelled a liar, accused of carrying out private practice on hospital premises and having “a tendency of defying authority”. Yet Sukeri claims to have spoken out for patients who are voiceless, about his concerns over the improper and inconsistent registering of deaths at Tower Hospital, about the food given to patients and the seemingly unregulated use of isolation wards. He believes he is now the target of a smear campaign, but says there are “people out there who know the truth and who support me”. “There are people who know that they should be investigating the disclosures and not the whistle-blower,” he said. Jay Kruuse, director of the Rhodes University-based Public Service Accountability Monitor, who knows the details of Sukeri’s case, says what has happened to the psychiatrist following his public revelations is demonstrative of a “pervasive trend” in the Eastern Cape Department of Health which tends to “disparage or isolate whistle-blowers”. Sukeri qualified as a psychiatrist in 2006 and in 2015 completed his PhD in psychiatry, mostly in the Eastern Cape. “The mind, brain, neuroscience fascinates me – biopsychosocial interaction and understanding how people interact and how mental illness has evolved and how to treat people – I love all that. It is part of who I am, it makes me smile every day,” he said, describing how he feels about his chosen profession. It was while he was doing his PhD that he developed a passion for community psychiatry, and saw that the National Health Plan was moving in that direction. He identified Tower Hospital as the psychiatric facility where he could start building on the foundations of his doctoral thesis. The hospital had been running for well over a decade without a psychiatrist on staff, despite the fact that it is a psychiatric facility. Sukeri approached the Eastern Cape Department of Health for a transfer from the East London mental health unit where he had been based and was appointed as the psychiatrist for Tower Hospital in December 2015. “Suddenly I was no longer part of the rat race and it provided me with immense challenges – having to understand the difficulties of distance and access – and all the elements required to develop a feasible community psychiatric model,” he explained. He believes he was well prepared for the job, ready to provide specialised care, and had a realistic view of the time it would take to bring about the changes he envisioned. His introduction to Tower Hospital on his first day left him with a mixed bag of emotions: excited about the task ahead, yet overwhelmed and daunted by the size and scale of the job. At first he started seeing patients on his own, but then decided to pull together a multidisciplinary team that would mean each patient would be treated by group of specialists including a social worker, occupational therapist and a psychologist rather than only a psychiatrist. “We started making holistic decisions for the patients together,” Sukeri said. But his optimism was short-lived and within four months – by April 2016 – he saw what he described as patients dying and their deaths not being properly recorded. And patients were living in seclusion rooms – referred to at Tower Hospital as “single cells” – where they were left alone, away from nursing staff and without access to toilets. Patients not kept in the single cells would stay in open dormitories where there was no privacy and they were not allowed to wear their own clothes. “I would bring up my concerns with management structures, but I wouldn’t get anywhere,” Sukeri said. He said food for the patients would be delivered by a bakkie, placed on a cement slab and then “dished out cold”. There was a lot of starch, very little fruit and regular servings of soup made with a high salt-content powder and pilchards. And so in early March 2018, unable to remain quiet about his concerns, Sukeri went public with what he believed to be wrong at Tower Hospital. This included his worries about the number of recorded deaths at the hospital and that not all were signed off by a medical doctor; that patients’ clothes were tattered, despite a clothing budget of millions of rand; that patients have to pay a R5 levy per cash withdrawal from the hospital account to access the money their families send them, and the poor quality of food served. He was also worried that there was no doctor on duty at the hospital on weekends. But the problem that bothered him the most was that patients were housed overnight in single cells that have no toilets and no control measures in place despite Department of Health regulations dictating that patients should spend no more than four hours at a time in seclusion rooms. The bare rooms, some with only a mattress on the floor, are riddled with graffiti detailing messages such as “The people will scream in terror”, “The animals will moan in hunger” and “River of Fire”. The ceilings are mouldy, the floors bare and cold. The doors close from the outside and cannot be opened from the inside, and at Tower Hospital, these cells are located far from the nurses’ station and are therefore not closely monitored. On 11 February 2018 Sukeri laid complaints about the hospital’s conditions with the health ombudsman, the SA Human Rights Commission and the SA Society of Psychiatrists. As a result, the hospital chief executive Ntombizandile Ngcume told him to vacate his office. Sukeri then resigned involuntarily in early March, citing the “degrading and inhumane” treatment of patients, and went public with his worries. Now, almost three months after leaving Tower Hospital, Sukeri feels like an outcast. “I don’t know if I am under investigation or if they are looking at the allegations I made. I have been through four hours of interview with the task team appointed by the Health MEC, and I have been through hours of questioning by the Health Ombudsman,” Sukeri said. The tone of the questioning, he said, was aggressive, as he was asked why he had done nothing as clinical head, and if he felt there could have been a way to avert the entire investigation process because it was extremely costly. “They don’t seem to understand that the benefit of an investigation can only be measured after it is completed, and that you also have to factor in the cost of not doing anything,” Sukeri told Health-e.
Kruuse echoed these sentiments, stating that the Protected Disclosures Act places a clear obligation on the Department of Health “to investigate allegations made and NOT the person making them”. Kruuse, who is an attorney and has been working in public service monitoring since 2005, said the action taken against Sukeri suggests that “the system is engineered to eliminate any outspokenness or reporting and raising of concerns”. Professor Zukiswa Zingela, president of the South African Society of Psychiatrists (Sasop) in the Eastern Cape, said Sukeri’s complaints had been received and would be investigated. In the meantime Sukeri resigned from Sasop, but was asked to withdraw the resignation – which he has agreed to do. Late on Thursday night, Tower Hospital CEO Ngcume resigned. As the fallout continues and Sukeri remains at home, with only a tiny rural practice to attend do, does he have any regrets?